How To Download PUBG Mobile In PC Or Laptop in English? HomeTechnicalHow To Download PUBG Mobile In PC Or Laptop in English? Hello Friends, If you want to know what PUBG Mobile is and how to play it, this post has been written about which you can read by clicking above. So, as the name suggests, you can download PUBG Mobile in your mobile which is totally free and if you want to play PUBG in your computer or laptop then you can buy PC version of it. But in this post I am telling you all that how can you play PUBG Mobile in your laptop or computer so that you do not have to buy PUBG and the same is the same as the experience of both mobile and laptop. So let's assume that you have a good laptop or computer in which you want to install PUBG Mobile. How to install PUBG Mobile in a computer or laptop? 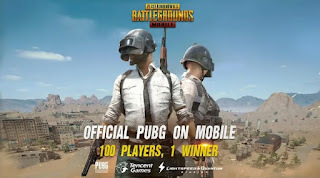 Friends, this is very easy to do and with the help of an emulator which is specially made for it and also an official, you can easily play PUBG Mobile in your computer or laptop. STEP 1. First of all, visit the official site at the bottom and download Tencent Gaming Buddy by clicking on Download, which will be an .exe file. STEP 2. You install it on your computer and after that you will get a choice to open it and here you have to download PUBG Mobile where you have to click. STEP 3. After this, when it is downloaded, then you will click Install and thus PUBG Mobile will start installing on your computer or laptop. In this process you will need about 2 GB of data, depending on your internet connection. Now you have to open it and thus you can enjoy PUBG Mobile easily on your computer or laptop. Hope you liked this great post.